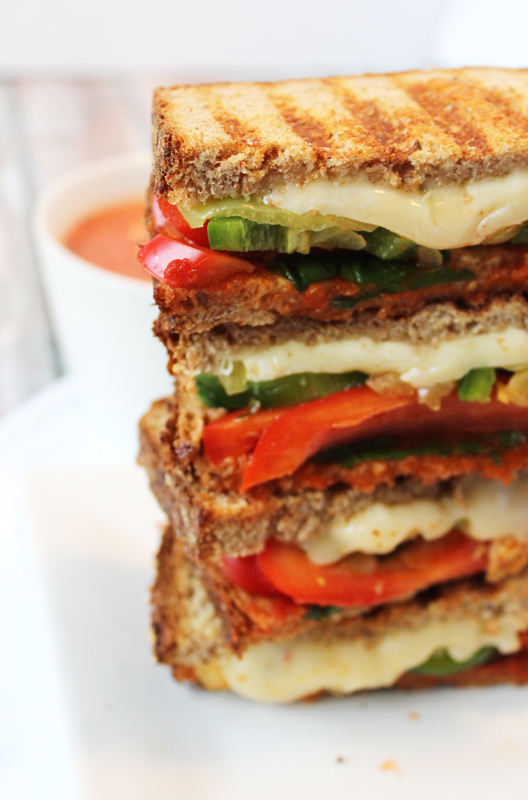 Before we get started on the recipe, I need to warn you – these paninis have a patented, extremely hot and spicy flavor. The key to the hotness is the Trader Joe’s dijon mustard, it is absolutely killer. So, now that I have completely scared you away from trying this recipe…if you dare, here are the ingredients and directions! 1. Pre-heat your panini press and grease (we use the Misto olive oil sprayer). 2. 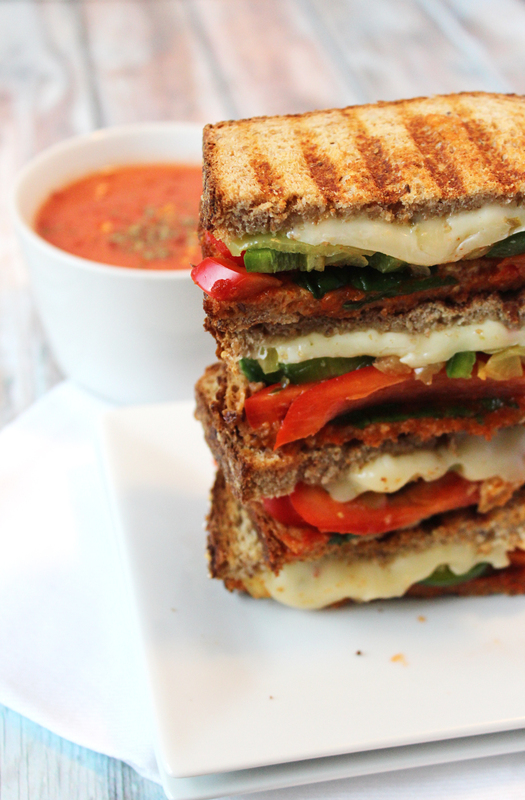 Put all the ingredients for the panini on the bread of your choice and stick it under the panini press! 3. 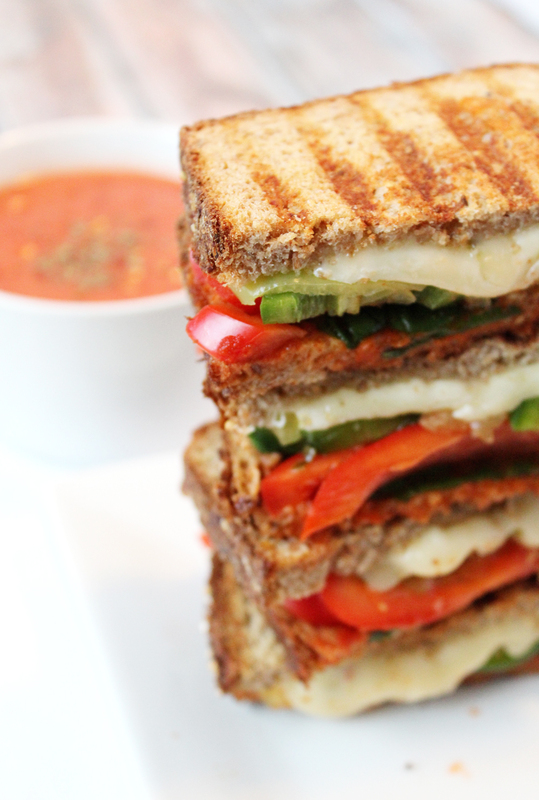 Take the panini out, cut in half, and keep a glass of ice cold water next to you while you enjoy! 1. Combine entire can of crushed tomatoes with the vegetable broth, basil, salt and pepper in a large saucepan. Heat on medium heat until the mixture begins to simmer and foam a little bit. 2. Lower heat and stir in milk, slowly bring back to a simmer, stirring. 3. Simmer for 10 minutes, stirring occasionally.